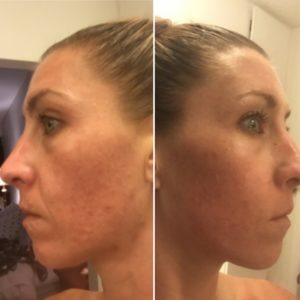 I decide to write a Curology review since I have been struggling with acne for several years and I feel like I have tried just about everything from prescription to over the counter acne regimes. About a month ago I woke up to more breakouts then normal and felt extremely frustrated with my skin and wanted to crawl back into bed and call in sick to work because I didn’t feel very confident in myself and just felt down. I decided to pull myself together and get ready to go into work. As I was sitting at work scrolling through my Instagram I came across an ad for a product for acne called Curology. 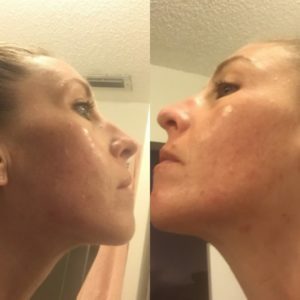 The timing was crazy because I was ready to try something that does what it says which is clear my acne that drives me crazy. The pictures that they had in the Curology ad showing different peoples before and after photos were amazing, but I wasn’t sold on just that because the pictures they show in ads always look amazing. 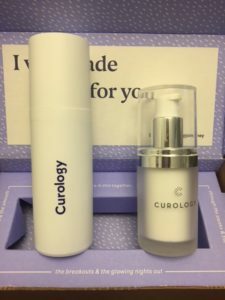 I wanted to do more research on the company and see what Curology was all about. 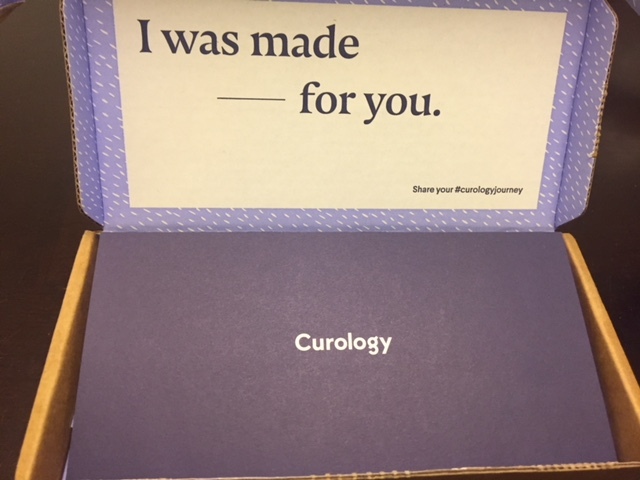 When I went to the Curology website they ask you to create an account, once you have an account created they ask you a lot of questions about your skin and previous treatments that you have tried. 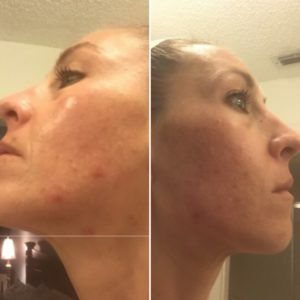 These questions range from things like how many breakouts do you currently have, where on your face are the breakouts, what type of breakout is it, cystic or small pimples. They then ask about all the different topicals as well as oral medications that are available for acne to see if you have tried these before. They want to know the dosage that you took as well as how it worked. Once the questionnaire is completed they request several pictures of your face, so they can see what the breakouts look like. I felt like this was very similar to going to a dermatologist but the good part about this is I didn’t have to pay a co-pay when I left! 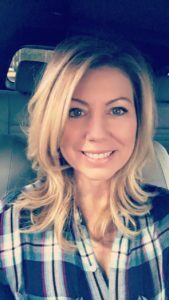 Once the questions and pictures were completed a licensed medical provider reviewed my account to determine the best treatment for my skin. This product was to be put on my face at night after my normal cleansing routine. All three of these ingredients are only available by prescription. 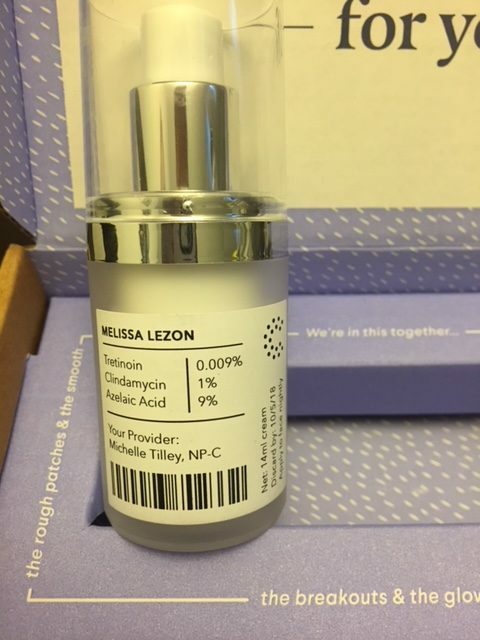 Tretinoin is a retinoid derived from vitamin A and it helps the skin get rid of old, dead skin cells that essentially end up clogging your pores and helps the skin replace them with new healthy skin cells. I have tried Tretinoin in the past when I went to the dermatologist, they prescribed 0.3% strength. When I was using this at night my skin was very dry and patchy and never seemed to get past that stage even after giving it a fair trial run for 14 weeks. 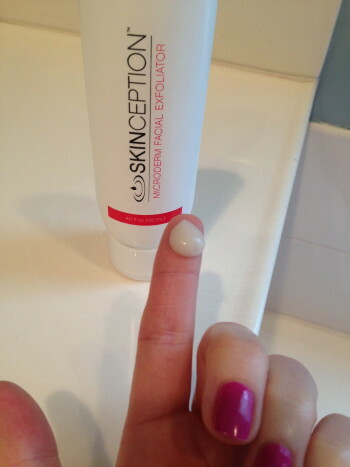 Tretinoin also has been known to help with aging skin and helps the skin to produce more collagen. Clindamycin is a topical antibiotic that is used to kill the bacteria that causes acne as well as help the inflammation that acne causes. Just like the Tretinoin I was prescribed Clindamycin when I went to the dermatologist and they prescribed 1% strength. I gave this a fair trial run for 14 weeks as well when I was using the Tretinoin from the dermatologist, but I didn’t see a change in my skin, so I stopped using it. This is something that I have never heard of and honestly this was my main reason for giving Curology a try. 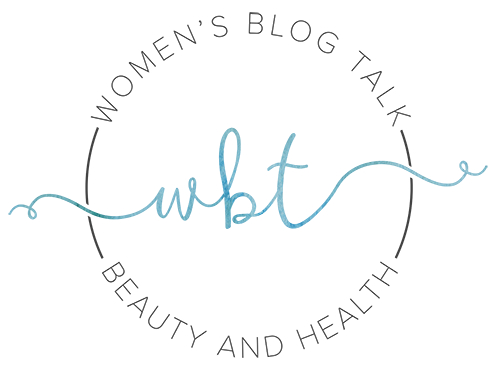 Azelaic Acid helps the skins process of creating the correct amount of new skin cells, overproduction and underproduction causes breakouts. It is also a great product to help keep the production of bacteria down, with less bacteria the acne is unable to thrive and multiply. Azelaic Acid also helps to clean up leftover breakout dark spots that are left behind on the skin or spots from the sun as well as reduces inflammation on the skin. This is a special area on my dashboard when I log into their site that was made to upload pictures of the left, right and front of my face to show what my skin looks like. 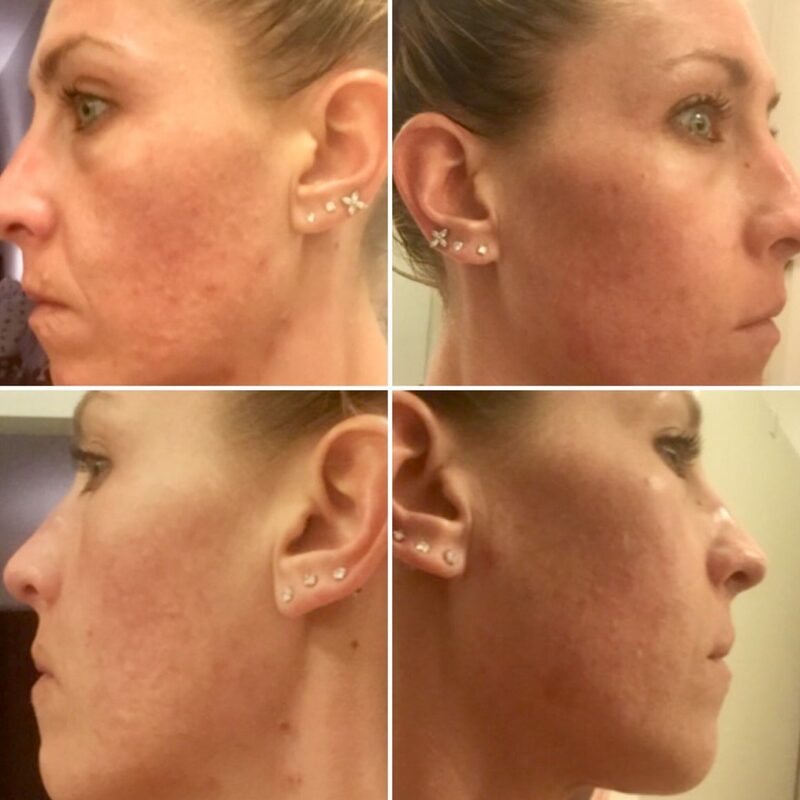 I was hesitant at first to add pictures because I hate seeing breakouts on my face, but then I realized the only way to see if the product is working or not is to take pictures every few days so that I have something to look back at and determine if the product is working. 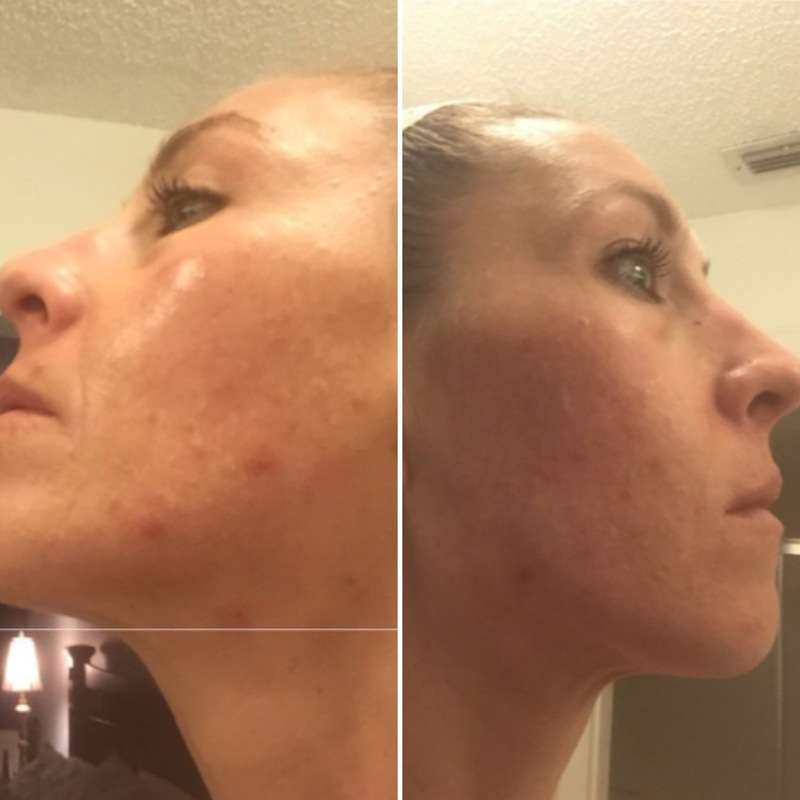 It is also beneficial for the medical providers to be able to look at the pictures to see the progress that my skin is making and determine if the mixture they created is the right one or if they need to adjust it. I filled out my questionnaire on July 7, 2018 and received my first bottle on July 9, 2018. The turn around time for this was amazing! 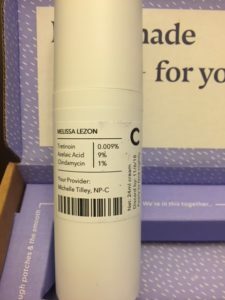 Since I am dealing with acne the last thing I wanted to do was sit around and wait a week for my shipment to come, so the fact that it was delivered to me this quick amazed me. I was excited to start using this because just like every other product I try I think this is the one, my skin is going to be back to the way it was before. I applied a thin layer or my Curology cream after cleansing my face. The cream went on nicely and I was off to bed. I was expecting my skin to get dry, flakey patches from the Tretinoin because it is usually expected while skin adapts to the formula, but my skin seemed the same and almost slightly better. I felt like my skin wasn’t as oily as it usually is around noon. After a few days I felt like my skin was starting to improve and I had fewer breakouts which is always a good feeling. Did not see any noticeable changes during this week with my skin. 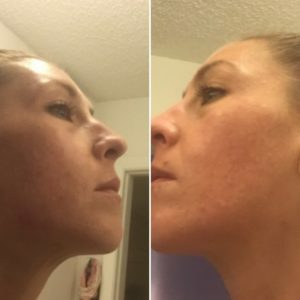 I still had several breakouts, but my skin seemed to look a little more even toned and less oily like week one. I felt like my skin was getting worse this week, something I didn’t want to happen but was happening. 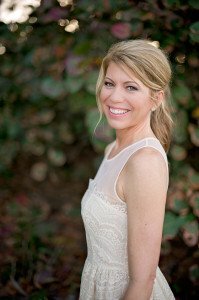 While looking on the Curology website they have a lot of different articles that explain how the skin can go through a stage called “purging”. This is a stage that the skin goes through when adapting to a new medication and the pores are cleaning themselves out and this can last anywhere from 1-6 weeks. I was upset about the breakouts because I wanted a miracle cream that would fix my skin overnight. But we all know there isn’t an overnight cure, so I continued to use the cream nightly and hoped my purging didn’t last up to 6 weeks. Continued to have breakouts this week unfortunately. I contacted the medical provider that was assigned to me asking if the cream for my next shipment could be adjusted because of my breakouts. She told me that she likes to keep people on the same formula for at least 6-8 weeks before changing it. She shared some links that’s helped me understand why my skin is breaking out still and gave me hope that it will get better if I just give it time. I did notice that although I am still getting breakouts my skin doesn’t look as red and irritated as it did a few weeks ago which is good. My breakouts seem to be declining which is a huge relief. I am still getting around 1-2 new pimples, but they are not as large and painful as before. And like the previous weeks the overall tone of my skin looks brighter and healthier. 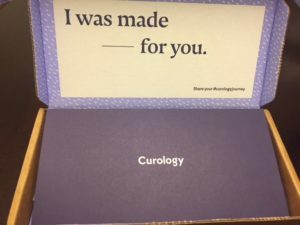 How Much Does Curology Cost? Curology starts you off with a free trial bottle, and you just pay shipping of $4.95. After your 30 day trial is up, you choose your subscription plan. Smaller bottles every 30 days: Monthly shipments are $19.95 + $4.95 S&H. Every 30 days you will be shipped a new bottle at $24.90. Larger bottles every 60 days: $39.90 billed on one invoice every 60 days. So it’s the same price whether you receive it every 30 days or every 60 days. 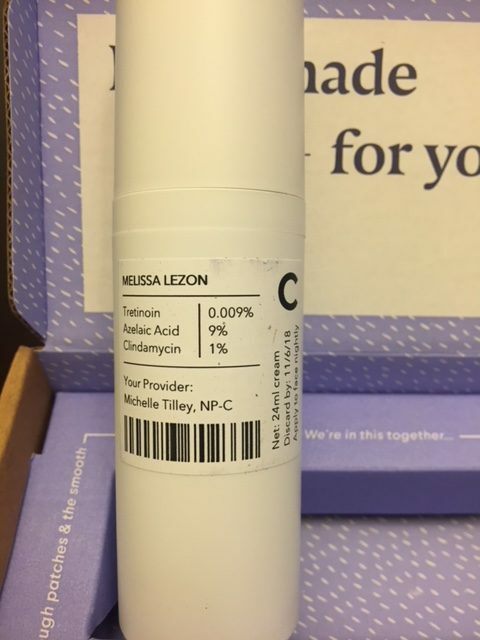 This is a picture of the larger bottle I received my second shipment. When I went to their Facebook Page to verify, it actually show 4.7 out of 5 stars (2,535 reviews), so my guess is they just haven’t updated their website. Their reviews seem legitimate. Overall I’m happy with the service, shipping and treatment plan, I only wish it would work better! Hormonal acne in your 30’s is very challenging, so I’ll be moving on from Curology and I’ve cancelled my subscription. 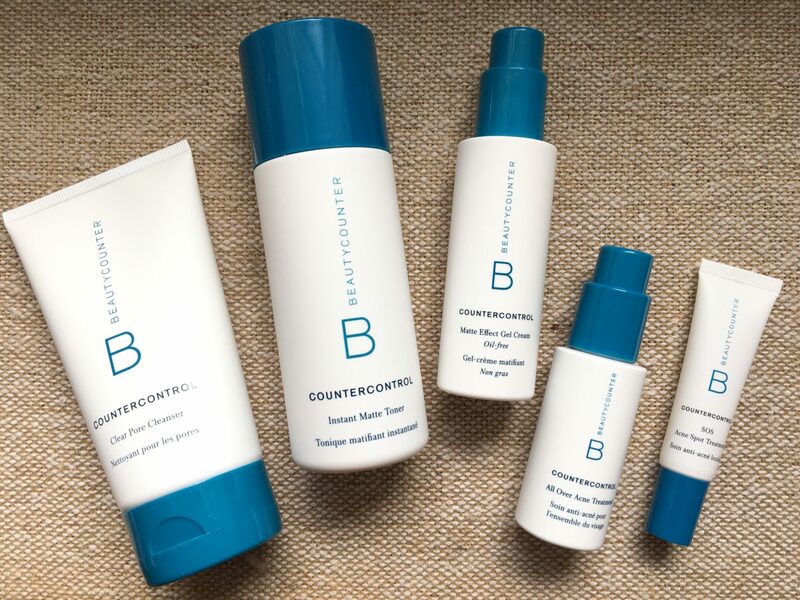 I’m so tired of being disappointed in my results trying things, but for the past two months I’ve been using the Beautycounter Countercontrol Collection (you can read my review and see my results there). 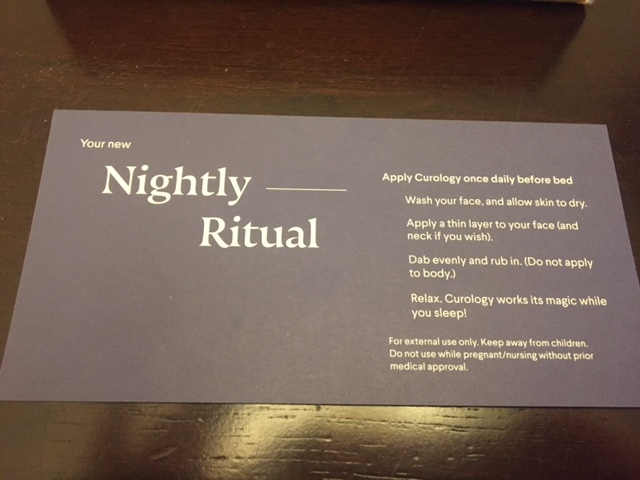 I like that the set has everything I need for a more complete skin care regimen, and Curology was lacking in that department. 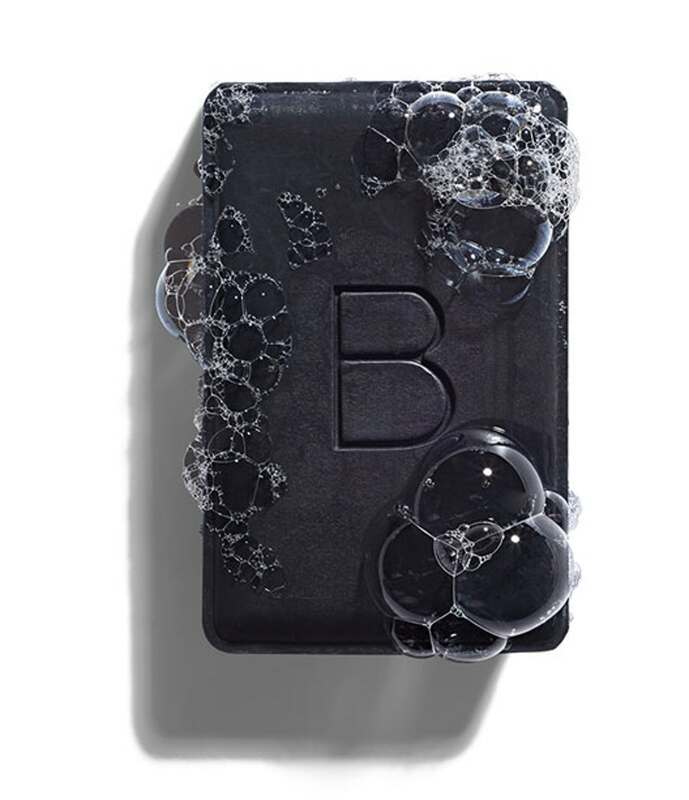 Beautycounter doesn’t use any toxic chemicals like surfactants in cleansers that strip the skin and there’s no alcohol in the toner. There’s also no Parabens (which are known hormone disruptors, and I have hormone issues) or phthalates. 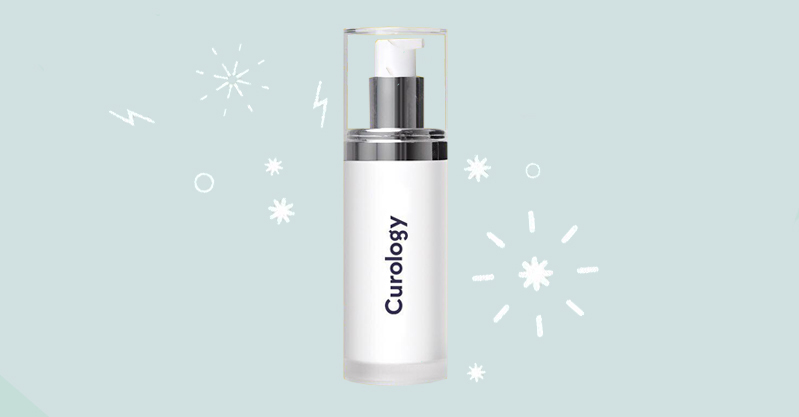 Have you tried Curology? Leave your review or comment below. My daughter uses Curology but I pay for it. I purchased the 2 month supply & she’s only had 1 bottle that actually contained enough for 2 months. She uses a thin layer as instructed. Curology acknowledged an issue they were working through regarding their pumps. 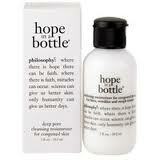 They suggested we pump the bottle 5 times & turn it upside down assuming the remaining lotion still exists within. You can’t access the container to know whether the problem regards an insufficient volume or a broken pump. Their suggestions didn’t fix our problem & they didn’t mail a replacement bottle to get her through the final few weeks before receiving the next shipment. We chalked it up to an isolated weird incident & waited for the next bottle but that too ran out too soon. I reached out again, explaining the situation, how much is used & how often to again receive the same suggestions in an effort to tap into what remained, stuck inside the bottle. We’ve been transferred over to customer support but no one has reached out to assist further & my daughter is now using the 3rd shipment since we never cancelled it. I reached out again today & let them know we never heard back from their customer support team. I initially requested a refund &/ or a replacement bottle until things could be figured out but they haven’t acknowledged my request for either at all. If we don’t hear back, we will cancel this service since anyone can easily stretch a tube of clearasil for much less the cost & hassel.